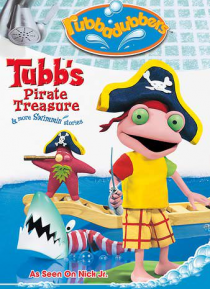 TUBB THE PIRATE: Tubb wishes he were brave. If only he were a pirate! TERENCE OF ARABIA: Terence does not like being splashed! If only he were someplace dry like the desert! SPLOSHY OF THE ARCTIC: Cooling off in the bathroom on a hot day sounds great to everyone except Sploshy! SUPER AMELIA: Wishing for superpowers, Amelia finds herself training to be a superhero, competing against Fintastic Finba… r! DEEP SEA REG: Reg wants to play underwater games with his friends.